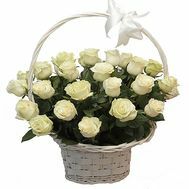 Basket with imported roses - a gift unusual and memorable at first sight. 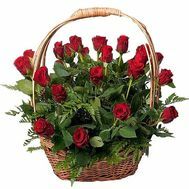 A beautiful basket of flowers, decorated by professionals, is a pleasure to receive as a gift at any age and any position. 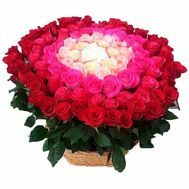 Especially if it is filled to the top with large, durable and expensive elite flowers brought from abroad. 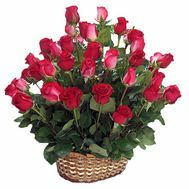 You can send imported roses in just a few minutes. It is enough to do a couple of mouse clicks, and our delivery service will take care of the rest itself! 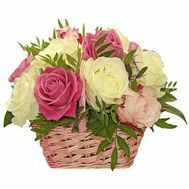 At us you can order a basket of flowers for every taste: from small baskets, to chic and pompous! Flowers, collected in bouquets - a nice gift, but not original. 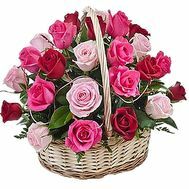 Therefore, we offer a new solution: the flowers in the basket. 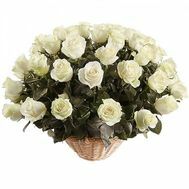 Imported roses, which are the basis of the composition, are carefully selected by our specialists for each order. 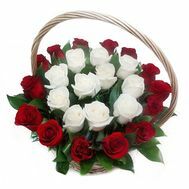 Thanks to this you can buy a floral basket of roses, being sure of their quality and originality of decoration. 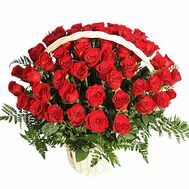 Imported roses from Ecuador: they have a large, goblet bud and a deep rich color, which makes them look luxurious in any design. 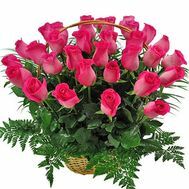 Buy a flower basket with imported flowers you can without an excuse or on a special holiday. 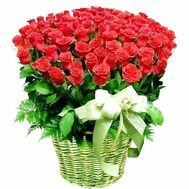 For example, a basket of 101 roses can be safely presented to your beloved wife on the anniversary of your wedding. 101 import rose in the basket will be remembered for a long time, as well as become a symbol of your unfading and strong family connection. 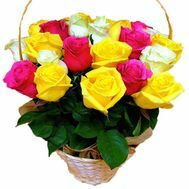 A basket of 51 imported roses can be presented to your beloved mother on Mother's Day, adorned with bright colors and warm emotions. 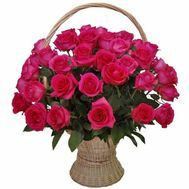 A large basket of imported roses will also be a great gift for your father's anniversary. Collected with love and care, she will touch the man's heart in the best way. 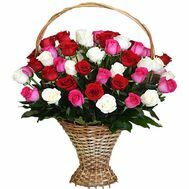 To order a basket of imported flowers means to bring happiness and joy to every home! Moreover, you can always add any other gift to choose from: a soft toy, a cake, balloons, sweets or whatever. Thus, even more increasing the festive mood of the recipient in any, even the most gloomy day! 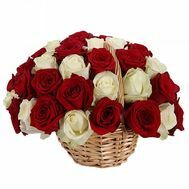 Where to buy imported roses in the basket? 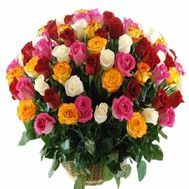 We are the largest flower delivery service in Ukraine. Working more than ten years, we managed to make more than 40,000 customers happy who gave their preference to us. Their happy faces can be seen in the reviews section on our website. We are quality courier delivery anywhere in the country. 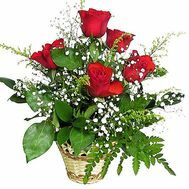 Delivery of flowers is available to every buyer in any place he needs. Delivery by courier is carried out in a clearly specified time frame and at the specified address. We are a democratic price and a lot of nice bonuses. 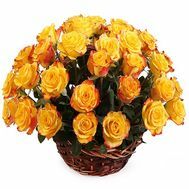 In our store you can always find various and pleasant actions, as well as get a discount for the purchase of a bouquet that will grow each time. 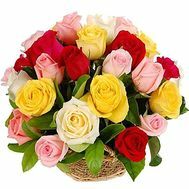 We are an opportunity to buy the best flowers in Ukraine. 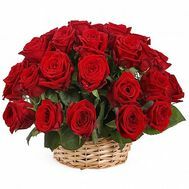 With us you can buy a basket of roses that will conquer even the most daring heart!